In 1992 Darlene became the minister at Safe Harbour Metropolitan Community Church in Halifax and officially transferred her ordination credentials to the Metropolitan Community Churches in 1996. 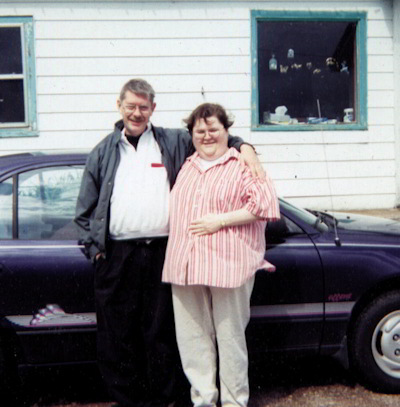 Throughout her ministry career Darlene had a keen interest in Pastoral Care and social justice issues. She did post graduate work in Pastoral Care and held advanced standing in Clinical Pastoral Education with the Canadian Association for Pastoral Practice and Education. She was survived by her soul mate, Mun Lei (Linda) Kai. 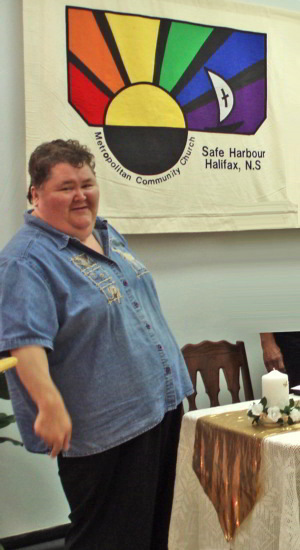 Darlene served on various boards and committees through the years including: Lesbian Conference Planning Team, Valley AIDS, GALA, BryonyHouse?, and the UniversalShelterAssociation where she was a founding member, Nova Scotia Rainbow Action Project, The |AIDS Vigil Planning Committee, and the Interfaith Coalition for Equal Marriage. In addition she served on various District committees within the Metropolitan Community Church and has facilitated several workshops throughout the Maritimes on Combating Racism, Spirituality, and Pastoral Care issues for those living with HIV and AIDS, and in the 2000s, was also the project coordinator for the Spiritual Care and AIDS Project working to help implement the provincial strategy on HIV/AIDS. Darlene expected that she might not survive her surgery and some weeks before arranged for the use of StJohnsUnitedChurch for her funeral. Mun Lei (Linda) Kai said, "I would like to thank everyone for their kindness and words of support and comfort. It has been a great blessing. Safe Harbour MCC is family and has been so helpful to Darlene and I over the years. Thank you for both of us." Darlene wrote: How I want to be remembered is as a person of faith in Christ who lived with integrity and compassion.